Beech Creek- On Saturday, January 25, 2014, Howard Ray Bowers, 91, left his home in Beech Creek to reach his eternal home with his Lord and Saviour Jesus Christ. Howard was born on September 3, 1922 in Beech Creek to Virgil and Bettie Bowers. He married Ruby Dell Ford on January 4, 1943. She was the love of his life, his personal jewel. They were married 71 years and 21 days. He was the son of a coal miner and was proud to have labored 40 years himself in the underground coal mines. Being a coal miner was not what he did, but who he was. His fellow miners nicknamed him "Gingerbread" because of his "gingerly work ethic". He was also a proud member of the United Mine Workers of America, District 23. He was in the generation of miners under the leadership of John L. Lewis when UMWA was in its infancy. Last year he received his 70 year pin for his membership in UMWA. Howard was also a member of Hazel Creek Masonic Lodge where he proudly served as Master of the Lodge for 2 terms. He always loved lecturing others who were joining the lodge. He was an avid hunter and fisherman, as well. His most important affiliation was his personal relationship with Jesus Christ. 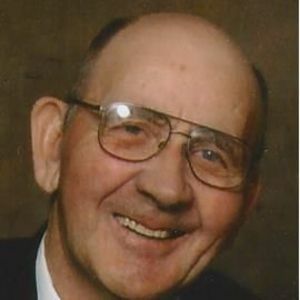 He was a member of Beech Creek Pentecostal Church for 60 years where he served as a Sunday School teacher for many years. In addition, he served as an elder and trustee there and was well-known for his love of singing, especially the songs, "You've Got to Walk That Lonesome Valley" and "This Little Light of Mine". Howard loved to raise a garden and was a huge fan of University of Louisville basketball and Chicago White Sox baseball. Howard was known by many names, but the two that fit him best were "Daddy" and "Papaw". He and his precious Ruby put God first and family second. Papaw Bowers, as he was known to many people other than his own grandchildren, was the finest example of our heavenly Father that many people ever knew. He was loved and adored by his family, friends, church and his lifelong community, Beech Creek. Just as Paul of Tarsus wrote in 2 Timothy 4:6, he fought a good fight, finished his course and kept the faith. He was preceded in death by his parents, Virgil and Bettie Cook Bowers, his brothers, Ernest, Thelbert, Sylvester, Les, James and William Bowers. He is survived by his faithful wife, Ruby Dell Ford Bowers; a sister, Mildred (Charles) Ingram of Bowling Green; two sons, Darrell (Doris) Bowers and Mark (Sandy) Bowers of Beechmont, his daughter, Peggy (Mike) Blake of Beech Creek, 6 grandchildren, Kim (George) Meadows, Michelle (Jerry) O'Bannon, Dawn (Wade) Latham, Dee Bowers, Shannon (Aaron) Martin and Tim (Heather) Bowers; 12 great-grandchildren, Ashley (Gavin) Hill, Ashley (Anthony Gunterman) Latham, Gary (Stephanie) Meadows, Clorissa (Aaron Henderson) Meadows, Blake (Kaitlyn) O'Bannon, Mollie Martin, Zoe Latham, Jager Meadows, Madelyn Martin, Corbin Bowers, Devon Clark, Rubon Clark and Atiana Clark; and 3 great-great grandchildren, Kaylee Alvey, Karter Gunterman and Paislee O'Bannon. Visitation for Howard will be after 5 p.m. on Monday, January 27, 2014 at Tucker Funeral Home in Beechmont. The service to celebrate his life will be held on Tuesday, January 28, 2014 at 2 p.m. also at Tucker Funeral Home with Bro. Roy Loney officiating, assisted by Bro. Terry Chaney. Burial will be at Ebenezer Cemetery. Our hearts go out to the Bower family. So many of my childhood memories were made on the banks of the Green River outside of Howard and Ruby's cabin at Mining City. Along with Kim, Michelle and Shannon, we walked, ran, and played under their watchful eye. I always enjoyed spending time there, and loved when Miss Ruby would invite me to eat fish with them. They were great friends to my grandparents. Howard was a truly wonderful man and will be missed. Thank you Peggy, Mike, Kim, Michelle & Shannon for sharing your Dad/Papaw with me. Your entire family will be in my prayers. Bill and I send our Condolences to the Bowers family. May God Bless and Comfort you. We are sorry to hear about Howard's passing. We will not be able to attend any of the services. You are in our thoughts and prayers. I know I've seen your dad before! I know now that if I saw him I saw you as you look just alike. I'm sorry to hear about your dad but he had a long life with a loving faithful wife and he served our creator. It doesn't get any better than that. Ruby and I wish we could be down there but that isn't to be right now. We pray for the family and may God Bless you all! So sorry for your loss. Seeing the pictures of all of you with him shows you had wonderful memories to celebrate his life. Praying for Peace and Comfort for all of you in your time of sorrow. Ruby Dell, Darrell, Peggy and Mark. Sorry I can not be there tonight and tomorrow. My thoughts and prayers are with you. So many good memories of Howard. What a wonderful man. He was a true family man and will never be forgotten by the many lives he touched. Mark , I am so sorry for your loss.Hold on to your special memories and they will be a comfort to you now. Prayers for the Bowers Family . My prayers and thoughts are with all of you in your time of grief. Your PaPaw is finally receiving his reward with our Lord and Savior. I hope that can help you all heal in some way even though you grieve his passing.